I have a Larin Lift which I used extensively with my Shadow but the Shadow adaptors would not work on the Nomad. I made the ones shown on Gadget's web site out of 3/8" x 2" x 14" long steel bars. 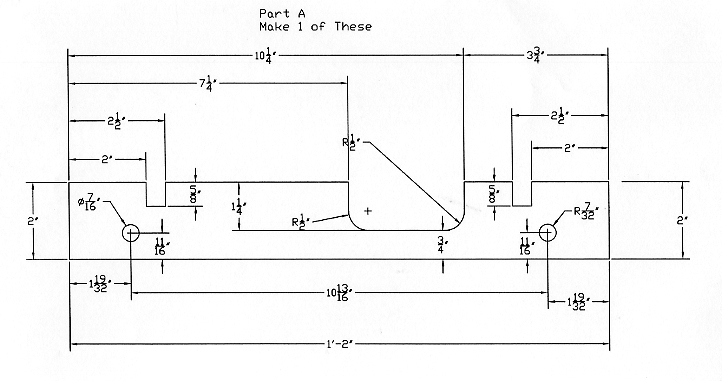 The drawings call for 1-3/4" wide bar but there is plenty of clearance if you let the extra 1/4" extend below the holes. These are drawings of the ones I made. I glued on some strips of plastic to avoid scarring the bottom of the frame. I did add some support under the rear wheel to stop the bike from rocking back and forth. It's not totally stable but will work as long as you don't do anything to unbalance the bike.